Seahawks quarterback Russell Wilson might have made a season-saving play during the fourth quarter of Sunday’s NFC wild-card game against the Vikings in Minneapolis. Wilson recovered a bad snap, then scrambled and connected with receiver Tyler Lockett for a huge 35-yard gain. 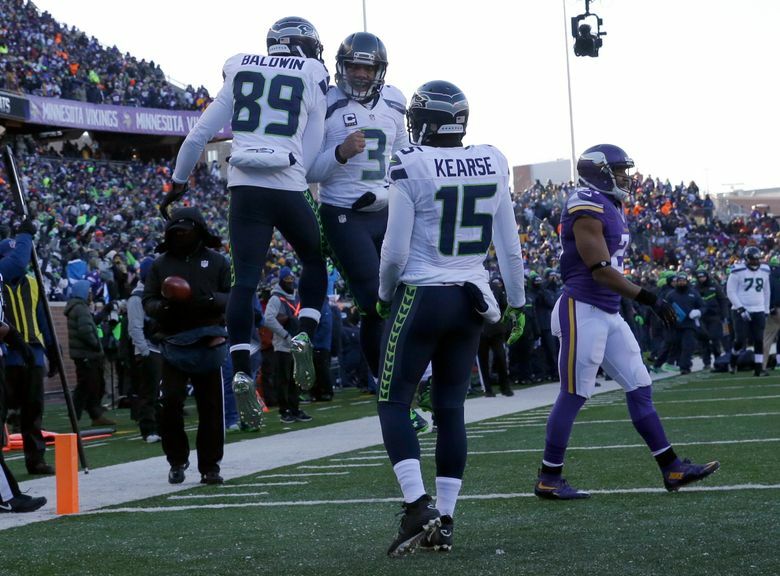 Two plays later the Seahawks scored their first touchdown of the day to cut the Vikings’ lead to 9-7. 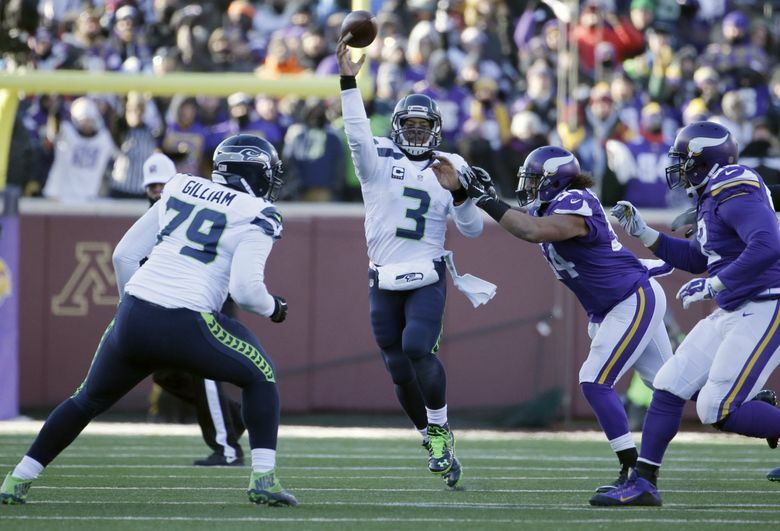 The Seahawks had the ball on first-and-10 at the Vikings’ 39-yard line. Wilson was reading the defense in shotgun formation when the ball was snapped by center Patrick Lewis before he expected it. The ball sailed past Wilson to the Seahawks’ 45-yard line, where Wilson recovered it, got up and began scrambling. After running to his right, Wilson found Lockett near the Vikings’ 30-yard line. Lockett took it to the 4-yard line for a 35-yard gain. Two plays later, Wilson connected with Doug Baldwin for a 3-yard TD pass.